Sponsored development! This add-on was developed under a sponsored development contract. Learn more about Our Mission and Sponsoring Development. 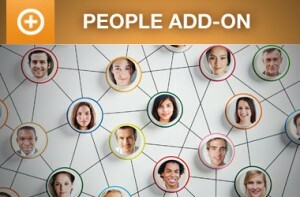 Purchase the People add-on for Event Espresso 4. 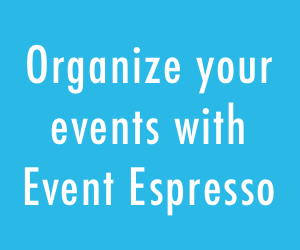 The Event Espresso People add-on creates an interface for managing staff, instructors, speakers, volunteers, sponsors, or just about any type of role someone might fill within an event and/or organization. 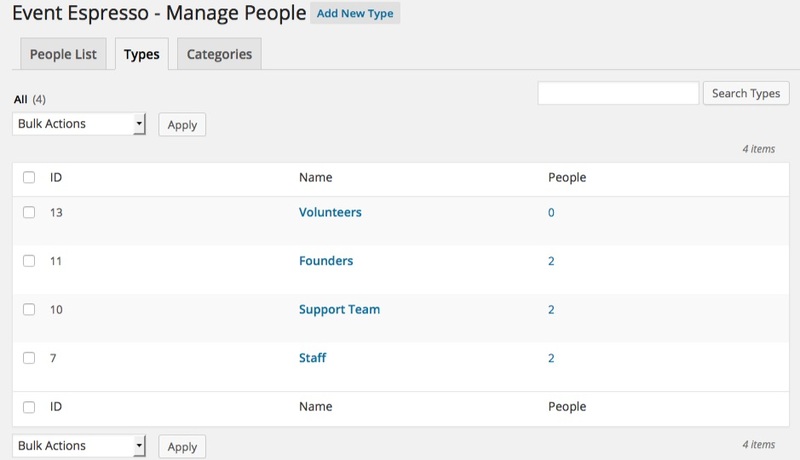 The People add-on creates a new interface within the Event Espresso 4 admin for managing people associated with an organization and/or event. People can be organized by type (eg. as staff (default), volunteer, speaker, sponsor, etc.) and categories. People archive pages are automatically created using WordPress Custom Post Types, and can be easily added to a WordPress menu or customized by a designer/developer. The default templates use your WordPress theme’s default archive.php file. 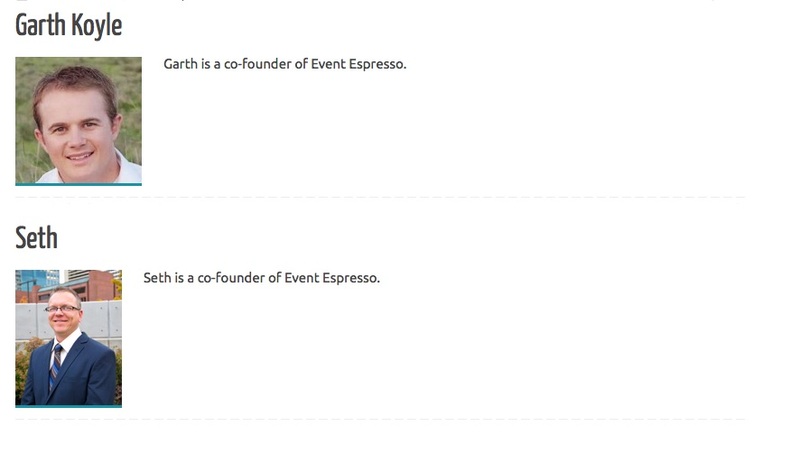 Theme designers/developers should be able to create custom post type templates using the Event Espresso People Custom Post Types that are made available, once the add-on is installed and people are added to the system. This is a list of “Founders” profiles, as seen on a People archive page. This shows an individual’s profile, type, and events he is assigned to. This is the People manager, or People overview. 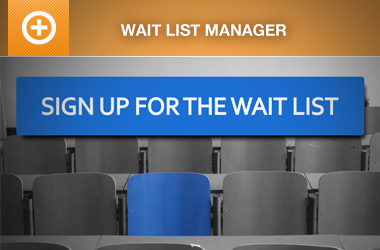 Multiple staff members can be assigned to a single event, or many different events. The People display order can also be customized from within the event editor. Drag and drop ordering will be available in a future version. 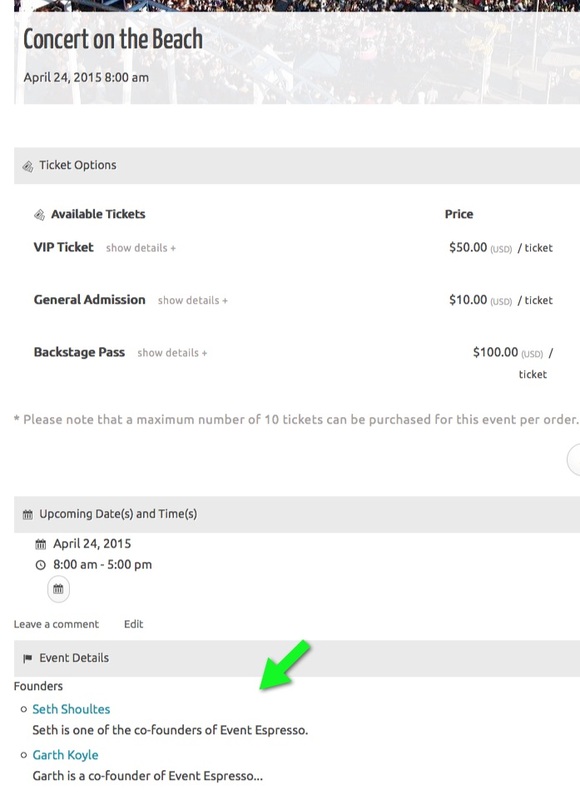 Events templates automatically display the staff assigned to an event. 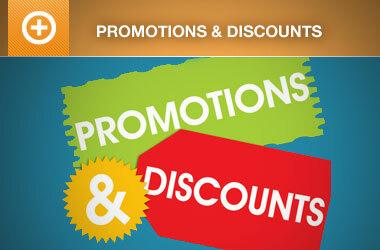 Your theme controls the style of the People listings within the event pages. 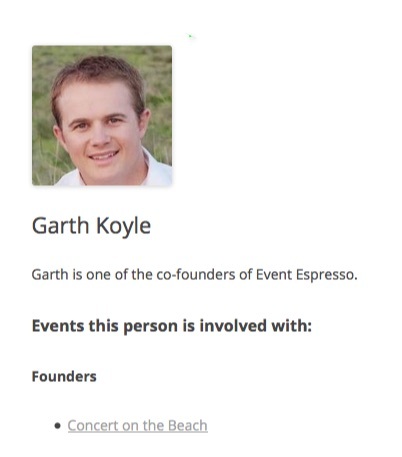 Dynamically list events a staff member is involved in on staff page. 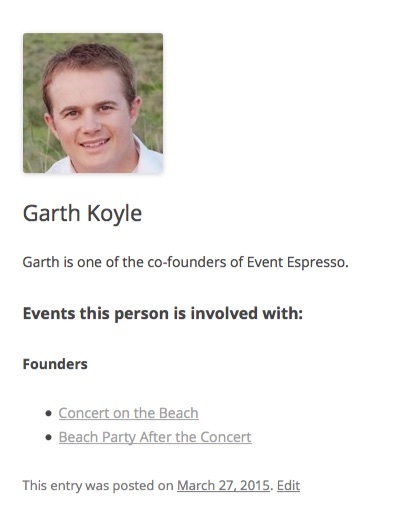 If a staff member is assigned to an event, each event is dynamically listed on their staff page. How are people related to WordPress users? 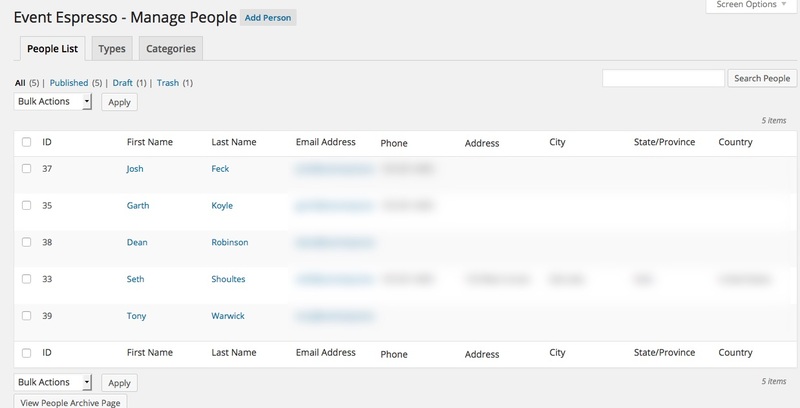 In the initial iteration there will be no relationships between a person in the people post type and WordPress users. However, nothing we are planning in the initial iteration will prevent integrating a relationship in the future. Here’s some of the things we are considering for later iterations (again VERY early spec talk). have some sort of mapping between people type and WordPress user roles. Is there a way to customize the relationship between people and events? 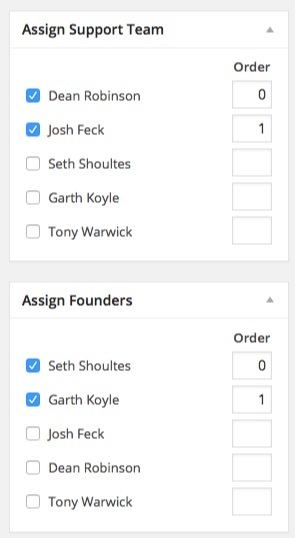 Initially we are going to store role and order in the relationship table as for most use cases that will likely be sufficient.One thing we have built in EE is something called an Extra Meta table. This is basically a universal meta table for adding additional meta information attached to object representations. So we could easily use this to extend the saved meta for a people to event (or eventually people to venue) relationship. What is the relationship between attendees and people? 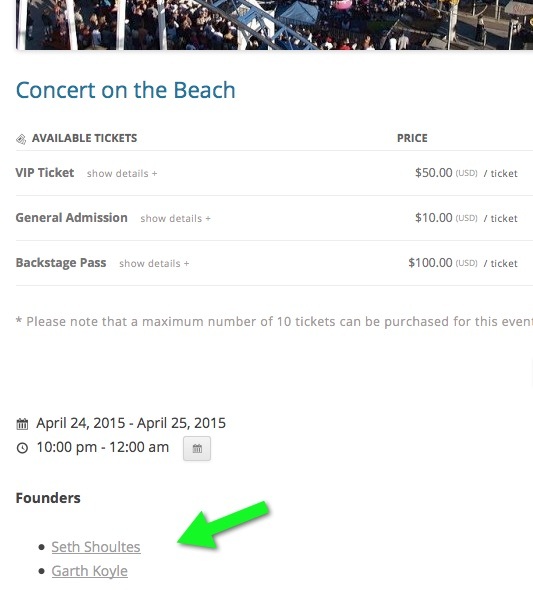 In the initial iteration people will never be tied to attendees. Ask a pre-sales question about the People add-on. Please post your questions below, we are eager to help.